Just as Briceño will inevitably face questions about the G-eleven, his opponent will have his own to answer. The U.D.P.’s Denny Grijalva was born in Guatemala, and that fact, especially in these charged times, may just impact his run for the Central seat. He told us it isn’t…because he claims only one country, and it isn’t Guatemala. You may say you know no other country and deny Guatemala at this time but who knows? Where is your citizenship Mr. Grijalva? Or do you have dual citizenship? 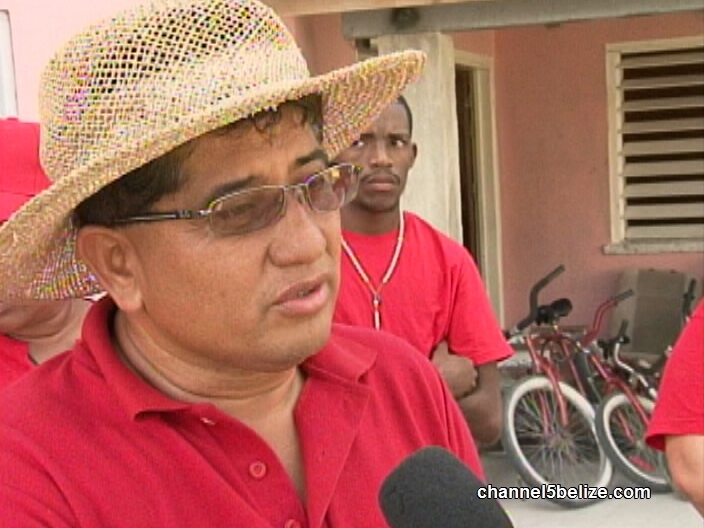 Belizeans do not vote for anyone under the circumstances that Belize currently face. Do not trust this Guat! No guatemalan should run for our political parties either be pup or udp simple as that. Nationalization is not as being born native. Let our political issue be pure Belizean and done. So please replace this man or don’t vote for him. SO can we do we have a choice in destroying a historical monument or is that also something inherently Guatemalan? So i dont give a rats where he was born, but i know his company destroyed our precious Mayan monument, Noh Mul. Say no to Denny Grijalva. Johnny Briceño he is the man! This guy knows no shame.